Jennifer Lawrence begins "Red Sparrow" as a Bolshoi ballet star, whose career ends with a terrible onstage accident. She must work to support her invalid mother, and succumbs to a creepy offer from her uncle to work as a spy. Soon, Jennifer trains in the art of seduction in a setting she calls "Whore School." Assigned to seduce American spy Joel Edgerton, the couple begin a game of cat and mouse, spy and counterspy. "Red Sparrow" runs long and feels slow. Jennifer Lawrence never masters her Russian accent. I felt no sparks between Lawrence and Edgerton. "Red Sparrow" casts a parade of respected actors including Charlotte Rampling, Joely Richardson and Jeremy Irons. It feels dated, like a thriller from 1975. 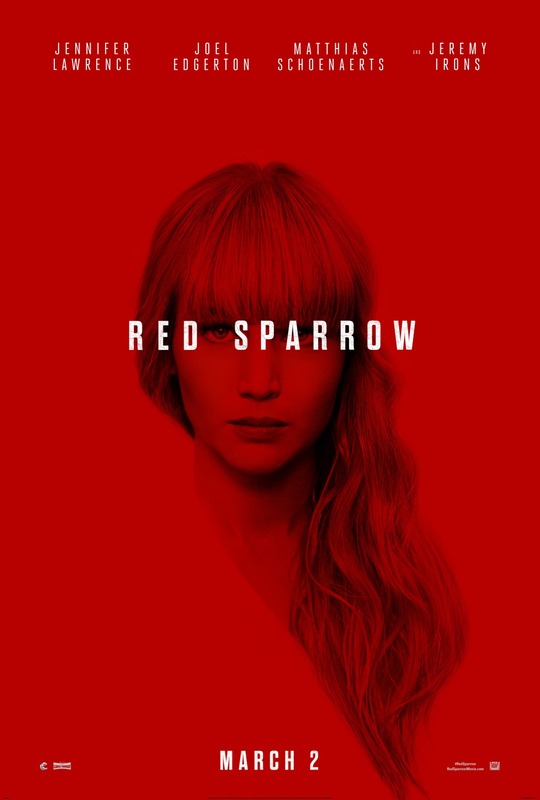 "Red Sparrow," 1 star, rated "R." Does it deliver what it promises? Limp thriller. Is it entertaining? Slow and unbelievable. Is it worth the price of admission? A Jennifer Lawrence misstep.